When the weather outside is frightful, a warm and toasty drink is just the fix! 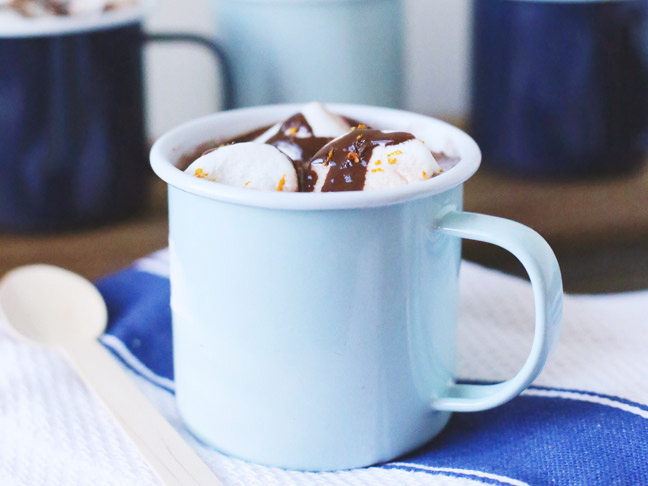 Today we’re making one of my winter favorites—boozy orange hot chocolate! 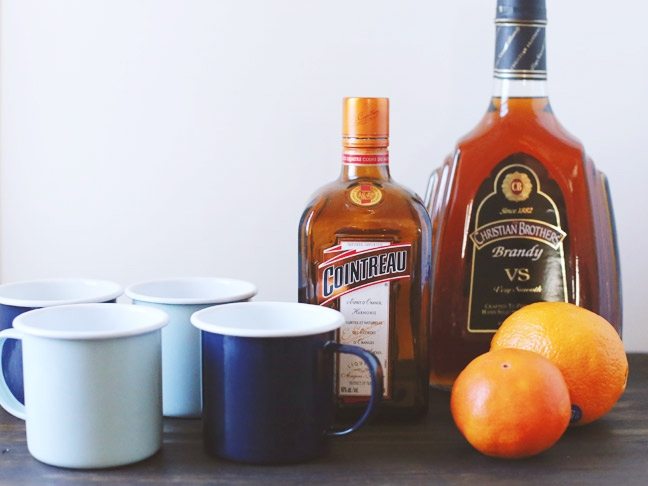 Made with fresh orange zest, orange liqueur, and brandy, it’s rich and sophisticated but a cinch to make. If you’re serving a crowd you can make up a big pot of hot chocolate and easily spike it on the fly. That means it’s also really easy to serve this up to all of your guests, even those who might not be drinking. Also, it’s easy enough to make on a weeknight if you just need a mid-week warm up, and you can’t hate that! Don’t be shy when it comes to experimenting with the flavors here! Add more or less of the orange liqueur to adjust the citrus flavor to suit your taste. Or sub out the brandy for your favorite spiced rum or bourbon. Either would be delicious! 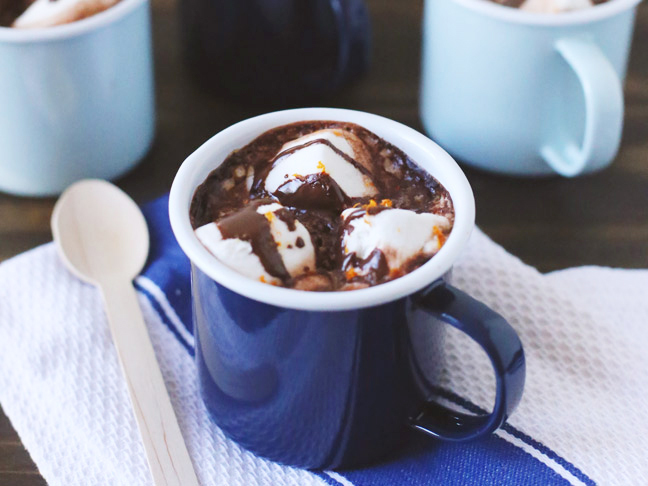 You could also skip the marshmallows in exchange for a big dollop of fresh whipped cream. Make this one your own—you really can’t go wrong. 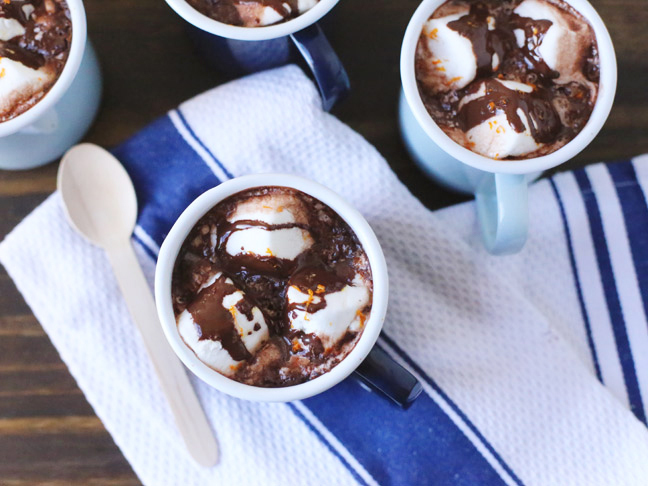 Step 1: Begin by making up a pot of your favorite hot chocolate recipe. 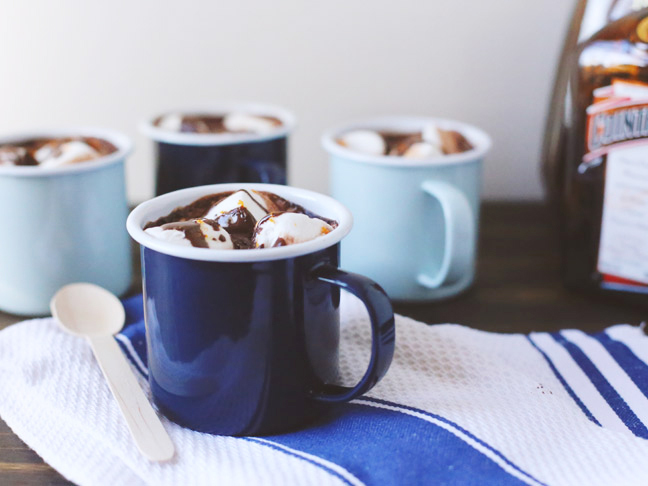 (My Nutella hot chocolate is perfect for this!) While it's simmering, add the orange zest, reserving a pinch for garnish. Step 2: While your hot chocolate is going in one pot, melt dark chocolate over a double boiler. Step 3: Fill a mug with hot chocolate. Add brandy and orange liqueur, and stir gently. Step 4: Top with marshmallows. Drizzle with melted dark chocolate. Garnish with a bit more orange zest. And done!